The Type 096 ballistic missile submarine [Tang class, Chinese designation: 09-VI] is the Chinese equivalent of the American Ohio class submarine. According to the US Department of Defense's Annual Report to Congress on The Military Power of the People's Republic of China for 2013, "The PLA Navy places a high priority on the modernization of its submarine force. China continues the production of JIN-class nuclear-powered ballistic missile submarines (SSBN). Three JIN-class SSBNs (Type 094) are currently operational, and up to five may enter service before China proceeds to its next generation SSBN (Type 096) over the next decade." Presumably the Type 096 will be rather larger than the Type 094, and carry a larger number of missiles, but otherwise be of conventional design. It will be the quietest, most heavily-armed submarine the Chinese Navy has ever built. The design will incorporate technological advancements to provide improvement in ship quieting; improved acoustic sensors; more capable combat systems; greater weapon capacity and capability; improved performance machinery program; and enhanced survivability. The past few decades of submarine hydrodynamic evolution have resulted in a ship of teardrop shape with unobstructed skin. The fact that a modern submarine resembles an airplane is not a coincidence. Underwater the submarine maneuvers much like an aircraft. It dives, climbs, banks and turns by manipulating control surfaces. These control surfaces are a vertical rudder aft and horizontal diving planes forward and aft. There is a fixed fin forward, commonly referred to as fairwater, or simply the sail. The outer hull at the bow houses major sonar equipment and forms the nose of the teardrop. The parallel middle body houses all the equipment required for control, stability, propulsion, and weapon systems. The after end of the outer hull tapers to a point, providing a hydrodynamically effective flow path to the stern control planes and the propeller. All Chinese [and U.S.] submarines are powered by a pressurized water reactor (PWR) coupled to a steam turbine. Although, it may no longer be the most efficient and compact system technology, the PWR design has a long history of safe, reliable operation. Torque generated by the steam turbine is transmitted to the screw by the propulsion train (reduction gear and shafting). Other power trains are possible. The USS NARWHAL (SSN-671) was the quietest of submarines at the time of her commissioning, the result of a natural circulation reactor. One S8G pressurised water cooled natural-circulation reactor powering two geared turbines to a single shaft. In the ultra-quiet natural circulation reactor design. This allows for operation with the large water circulating pumps, a major source of radiated noise, secured. In the natural-circulation reactor, in order to secure a natural circulation flow rate, a pressure vessel of the reactor may be arranged with an axial long length and a reactor core is arranged at a relatively lower position within the pressure vessel of the reactor so as to form a large free space called a chimney over the reactor core. The natural-circulation reactor does not include a re-circulation pump inside the reactor (internal pump) and a reactor re-circulation system (including a re-circulation pump outside the reactor and a jet pump) unlike a forced-circulation reactor, so that the fluid within a reactor pressure vessel is not to be forced-circulated by the recirculation pump inside the reactor. In the natural-circulation reactor, the natural circulation flow rate is determined in accordance with the balance of a density difference between a downcomer part and the reactor core. Fast neutron reactors (FNR) are smaller and simpler than light water types, they have better fuel performance and can have a longer refueling interval (up to 20 years), but a new safety case needs to be made for them, at least in the West. They are designed to use the full energy potential of uranium, rather than about one percent of it that conventional power reactors use. They have no moderator, a higher neutron flux and are normally cooled by liquid metal such as sodium, lead, or lead-bismuth, with high conductivity and boiling point. They operate at or near atmospheric pressure and have passive safety features (most have convection circulating the primary coolant). Automatic power regulation is achieved due to the reactivity feedback – loss of coolant flow leads to higher core temperature which slows the reaction. Fast reactors typically use boron carbide control rods.Fuels are mostly 15-20% enriched and may be uranium nitride – UN, (U,Pu)N, (U,transuranic)N, U-Zr, or (U,Pu)Zr. Most coolants are liquid metal, either sodium, which is flammable and reacts violently with water, or lead/lead-bismuth, which is corrosive but does not react with air or water. 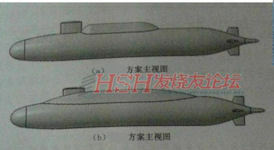 By one Chinese acccount, the 096 Tang class submarine is about 150 meters long (094 was 140 meters), about 20 meters wide [obviously wrong, 094 to 12.5 meters], with a full displacement maximum displacement of 20,000 tonnes (12,000 tons 094), or at least in more than 16,000 tons. The ship's shape approximates an elongated drop-type, double-shell design. Weapons include six 533-mm bow torpedo tubes. Preparation torpedoes are 24 passive acoustic homing torpedoes. The 533-mm Thunderbolt using different off-site remote control or automatic start to protect the submarine. The position to avoid counter weapons also includes active air curtain noise bombs. The power plant may be two integrated pressurized water nuclear reactors and two steam turbines, with a pump-jet propulsion mode. The maximum speed should be up to about 32 knots. In addition, because the hull shell using high-strength alloy steel, so its potential can reach a depth of 600 meters. As for the most troublesome noise problem of the submarine, the ship has special treatment, in addition to the installation of shock absorber base in the noise source and in the ship shell application of high-performance silencer tiles. The ship also takes initiative to reduce the noise device, making this ship Underwater noise is greatly reduced, only 95-100 dB, well below the 094 submarine 115 dB. Compared to the already deployed 092 and 094 submarines, 096 submarine indeed has great performance. It is larger, less noise, and equipped with more missiles to carry more warheads. In the latest batch of 096 strategic nuclear submarines built, China has fixed many of the design flaws, its performance has been greatly improved. The 2017 Annual Report to the US Congress on China's military power by the US Defense Department claims that China's next-generation nuclear submarine, Type 096, will likely begin construction in the early 2020s, and will reportedly be armed with the JL-3, a submarine-based ballistic missile. "Pentagon's prediction about Type 096 could be correct to some extent, but the submarine could be completed ahead of schedule. The submarine is a key weapon to the country's nuclear warfare capability. Only the US and Russia have the real 'nuclear triad' (consisting of ballistic missiles, strategic nuclear submarines and strategic bombers), but sooner or later, China will have it as well," said Li Jie, a Beijing-based naval expert told Global Times 20 September 2017. A new nuclear submarine has been turned over to the People's Liberation Army Navy, one of the largest State-owned naval shipbuilding enterprises revealed on 21 September 2017, but experts believe that this submarine is not the most advanced Type 096, which is China's next generation strategic nuclear submarine. China Shipbuilding Industry Corporation (CSIC), which also manufactures China's aircraft carrier, posted the information on its WeChat account Tuesday in an article reviewing its achievements since the 18th National Congress of the Communist Party of China (CPC) in 2012. "The past five years since the 18th National Congress of the CPC has been an extraordinary period for the CSIC, with the handover of China's first aircraft carrier Liaoning to the PLA Navy, the launch of the first homegrown aircraft carrier, the completion of the new nuclear submarine and the deep-sea-exploration submersible Jiaolong…"the article said. However, the article did not reveal the submarine's name and type. But some military observers speculated the submarine is Type 096, China's most advanced nuclear submarine, and the successor of the current Type 094, which first appeared on China Central Television in 2013. 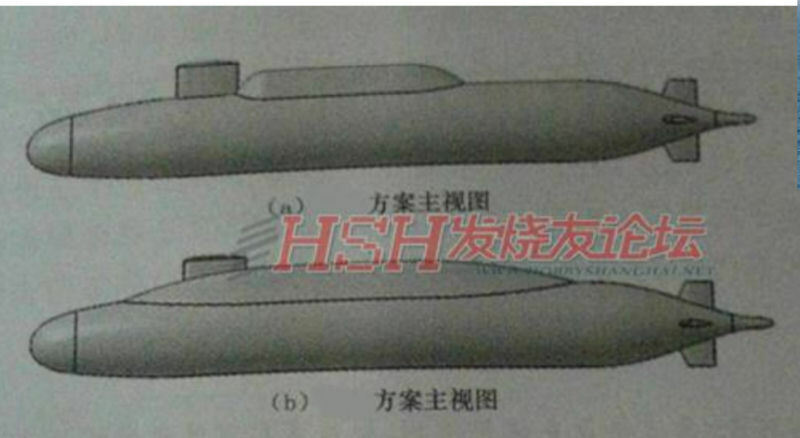 The submarine the CSIC mentioned could be Type 094 or Type 093, but not the next generation nuclear-powered ballistic submarine Type 096, since Type 096 is too advanced and not to be completed soon, Song Zhongping, a military expert who served in the PLA Rocket Force, told the Global Times. "The Pentagon's prediction about Type 096 could be correct to some extent, but the submarine could be completed ahead of schedule. The submarine is a key weapon to the country's nuclear warfare capability. Only the US and Russia have the real 'nuclear triad' (consisting of ballistic missiles, strategic nuclear submarines and strategic bombers), but sooner or later, China will have it as well," said Li Jie, a Beijing-based naval expert.